I think that most of the time we think life would be better if we were somewhere different. Don't get me wrong, there are many wonderful things about living in Chessington, the secret jewel of South London convenience! However, when life is tough, we assume that if we were transported to a another place, another country, another world even, life would be better. Whether it's on an isolated New Zealand sheep farm or a solitary seaside house in North Wales (my dream locations when I am finding people tough! ), we assume that what we need is a change of circumstances. Of course a change of circumstances might not involve a change in location. It could be a change of job or change in income or change in partner or change in health or change in interior decor. All these changes have in common an assumption that my problems are the result of the hand that life has dealt me. What we are slower to admit is that what we need most of all is a change in character! Because not long after I settled into my beautiful New Zealand dream home or unpacked the few possessions that I had chosen to keep in my clutter free new life of simplicity on the Welsh coast, I would be faced with the recurring greatest issue that I struggle with in life. Me! That's why the gospel of Jesus is uniquely good news. Because it promises me new circumstances and new character. Forever. Both given, not earned. Both the work of Jesus, not me. God's people with be purified in word and deed. 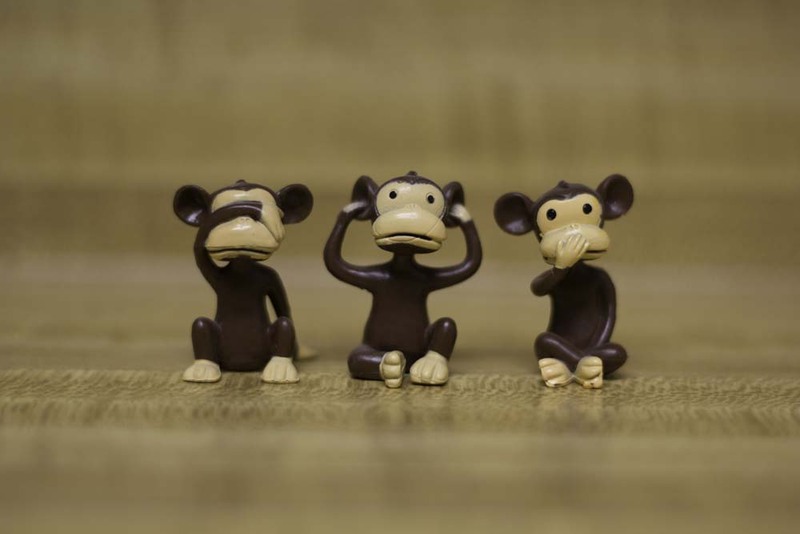 They will do no evil and speak no evil (and so see and hear no evil!). And God's people will enjoy life in a place of safety. It is when you feel secure that you both relax over a meal and sleep soundly. When you are not afraid. After the horrific events of the last few weeks it would be easy for us to think that all we need is a change of circumstances. A world without terrorism or tower block fires or turbulent politics. But as well as a new world, we need to be new people. People made perfectly into the image of our loving God. And wonderfully that's what he promises to do. One day I will be the man that I long to be, in the world that I long to live in.